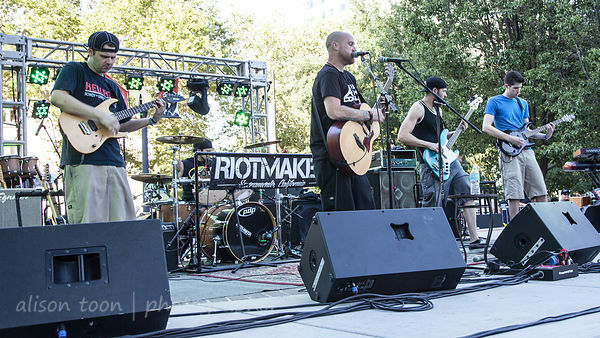 Toon's Tunes : Riotmaker opens Concerts in the Park 2015 with happy Calirock! 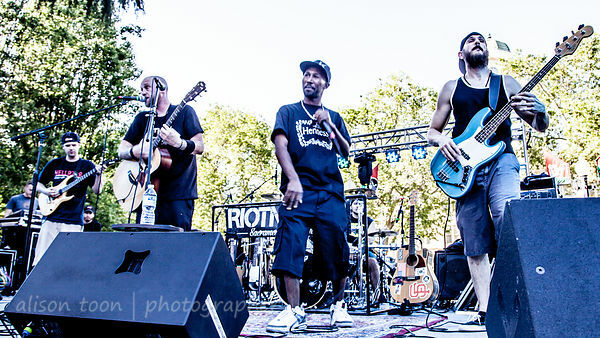 Riotmaker opens Concerts in the Park 2015 with happy Calirock! 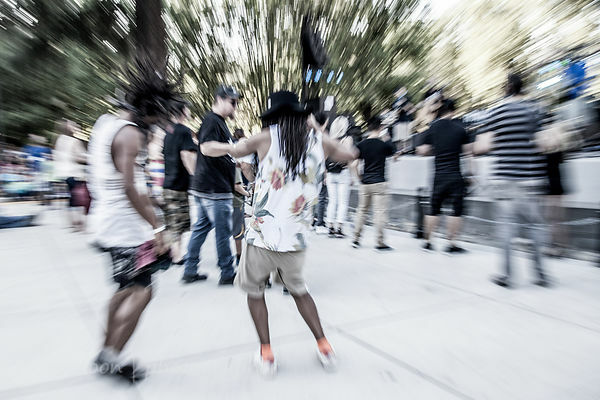 Sacramento's own Riotmaker opened up this year's Concerts In The Park in style: happy, infinitely-danceable Calirock: a blend of reggae, dub, alternative, cheerful rock. Their album is aptly titled, "Welcome to Calirock", and you can obtain a copy from iTunes, Amazon, or wherever else you buy your music. It's great roadtrip-to-the-beach music--go get a copy! It's official: with the start of the Concerts in the Park, summer is here--and so is outdoor music! If you haven't been to a Concert in the Park, they happen every Friday evening throughout the summer (except July 3rd)--the lineups are on the website, together with info about finding the location, parking, etc. The concerts are free--yes, free! There's room for dancing in front of the stage. There are food trucks for all tastes, gourmet, sweet, snack, hearty... and a beer tent too. 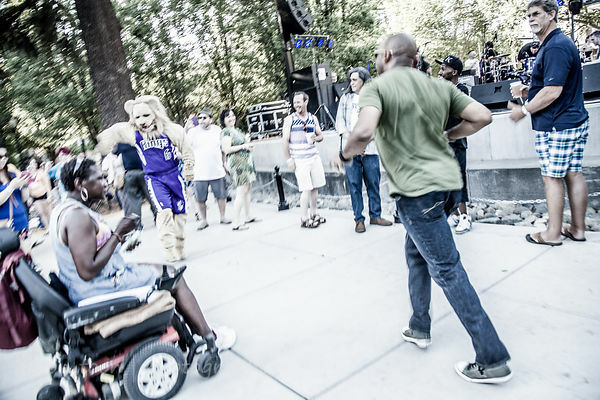 Even Slamson, the Sacramento Kings' mascot, was there, challenging the dancefloor. And don't forget Kenny the Dancing Man. He was there, he was dancing... and rumour has it that you'll soon be getting Kenny-the-Dancing-Man tattoos. More pictures of Riotmaker in the Toon's Tunes Riotmaker gallery. And people-having-fun pictures too--I'll be adding to these during the summer.